CHARLES CITY — Riverside Cemetery will be a lively place Friday. Eighth graders are making sure of that. It will be from 2-5:30 p.m. Friday, May 26, and students will inform the public on their findings and work in a variety of ways. The Cullen story is that of Iowa’s last lynching. In Jan. 9, 1907, a mob of several hundred men, rammed down the doors of the Floyd Gounty Jail with a rail iron, and seized prisoner James Cullen, 62, a wealthy, white contractor, who murdered his wife and stepson the previous day, according to the article “Iowa’s Last Lynching: the Charles City Mob of 1907 and Iowa Progressivism” by Michael James Pfeifer for the State Historical Society of Iowa. The eighth-grade drama club will present it’s dramatic retelling of the tale at 2:30 p.m., 3:30 p.m. and 4:30 p.m. in the cemetery’s chapel. 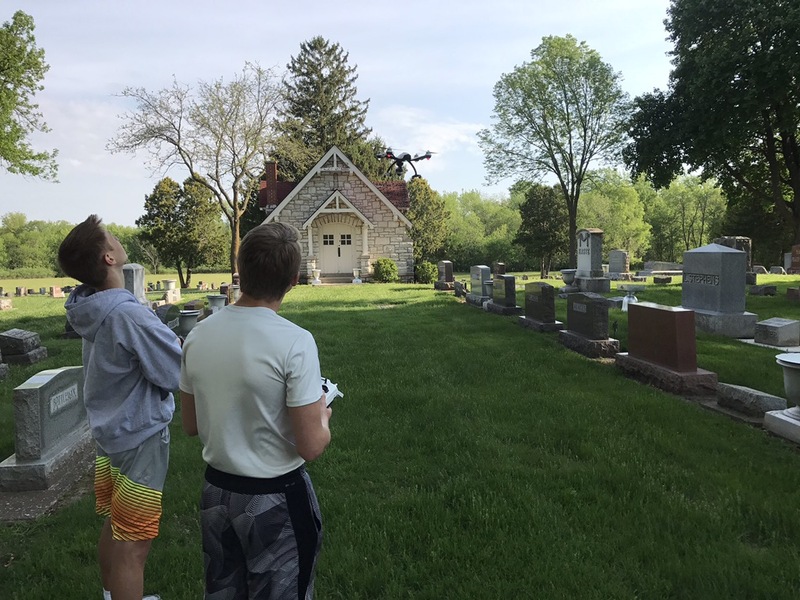 Between Cullen performances, a movie about veterans in the cemetery and a documentary “What Hides Behind the Gates: The Untold Stories of Riverside Cemetery,” will be shown in the chapel. A memorial for the victims of a diphtheria epidemic will take place at 5 p.m. at the resting place of the Fiji family. The Nature Trail and the Bird Sanctuary group will give tours from 2-5 p.m. This entry was posted in Charles City Schools and tagged Charles City Middle School, James Cullen, Riverside Cemetery. Bookmark the permalink.